Firefighters work to create containment lines at the Peekaboo Fire west of Irish Canyon. Firefighters with the Northwest Colorado Fire and Aviation Management Unit are continuing their efforts to contain the Peekaboo Fire, which has grown to 8,000 acres on Bureau of Land Management land about 50 miles west of Craig. The fire is currently 5 percent contained. Smoke can be seen from many locations in northwest Colorado as well as Utah and Wyoming. Anyone in or near the fire area is advised to use caution. 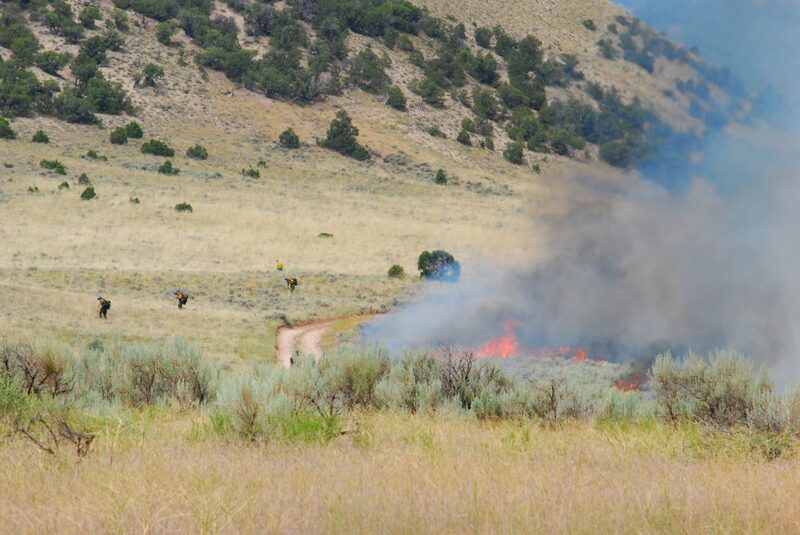 The Peekaboo Fire in Northwest Colorado is burning in primarily pinion-juniper north of Browns Park National Wildlife Refuge and west of Irish Canyon. The Northwest Colorado Fire and Aviation Management Unit managers are in coordination with adjacent private land owners and Moffat County. Currently, crews are building hand lines and burning out to contain the fire. The Rocky Mountain Incident Management Team Black will take command of the fire at 6 a.m. Friday. The goal is full suppression of the fire. For more information about the Peekaboo Fire, visit the fire’s page on InciWeb at http://inciweb.nwcg.gov/incident/5328/. You may also call the fire dispatch center at 970-329-1008 or email peekaboofire@gmail.com.